Dr. Cooper is part of the international bone health and mobility collaborative established by Dr. Mulpuri. This initiative provides the opportunity to promote both education and research in aid of the advancement of clinical care in countries around the world with underserved populations. 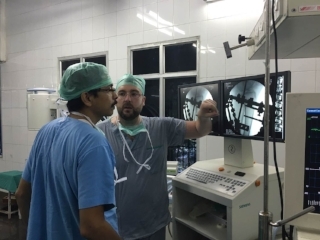 As part of the international bone health and mobility, Dr. Cooper provides surgical training to local orthopaedic surgeons in India for external fixation. 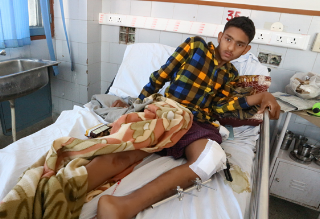 To understand the impact of having a lower limb deformity on a child’s quality of life, our team is conducting face to face interviews with children and parents across various sites around the world.